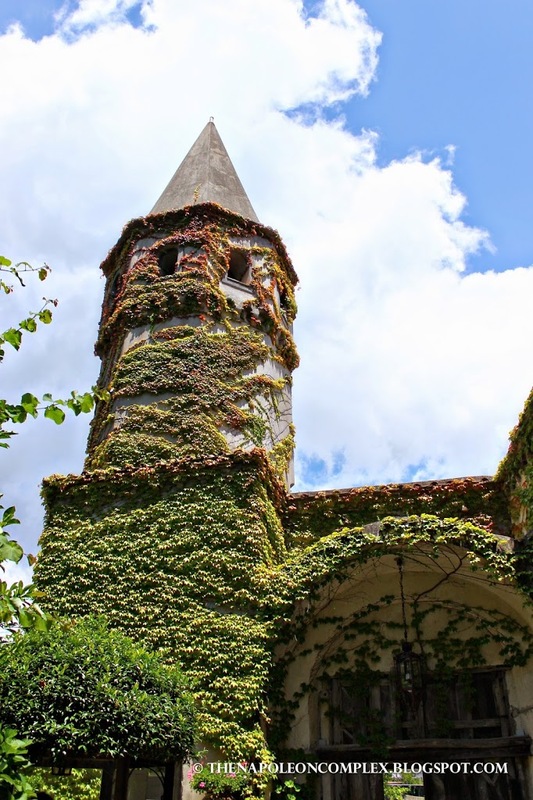 I thought about breaking this part of our road trip down into several posts, but the truth is if I do that I’m going to be talking about our summer adventures deep into winter (thanks to my procrastination, of course). 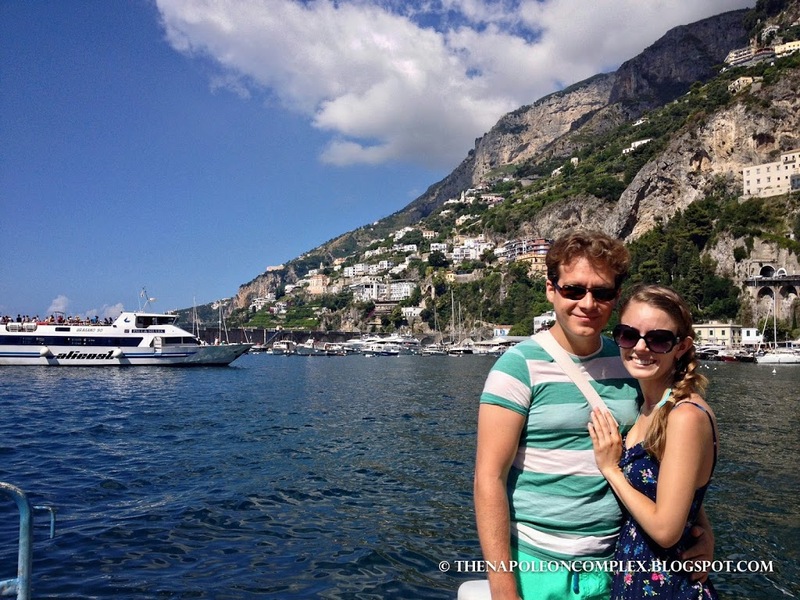 Instead, I’ve decided to just do a big hefty post on our weekend in the Amalfi Coast. After we visited Florence (which I’m not actually writing about since we did much of the same things we did on our first time in Florence), we made our way back to Rome. 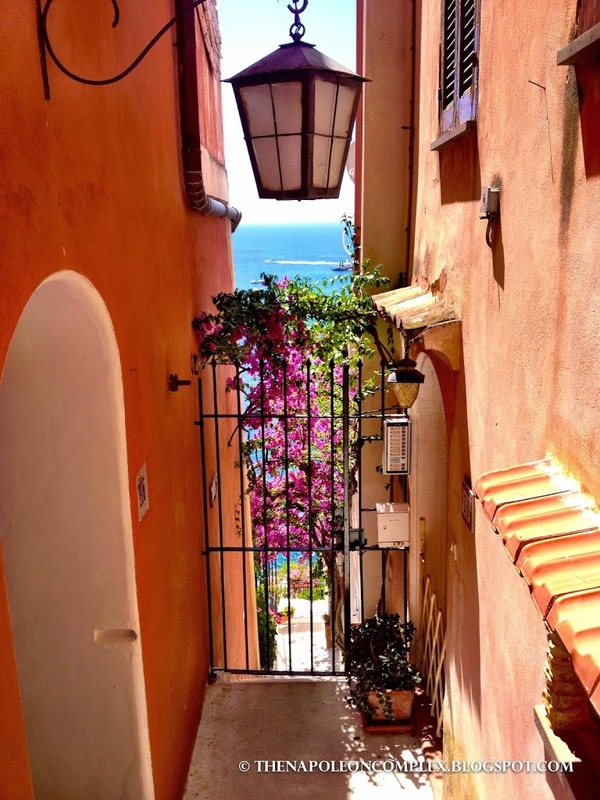 We spent one day resting and taking care of some housekeeping (read: washing clothes from nine days on the road) then we hit the road again and headed south to Naples and the Amalfi Coast. I have yet to write about our two times in Naples because honestly I’m still trying to figure out what to make of that complicated city (all I know is that there is nothing in the world like Neapolitan pizza… nothing). 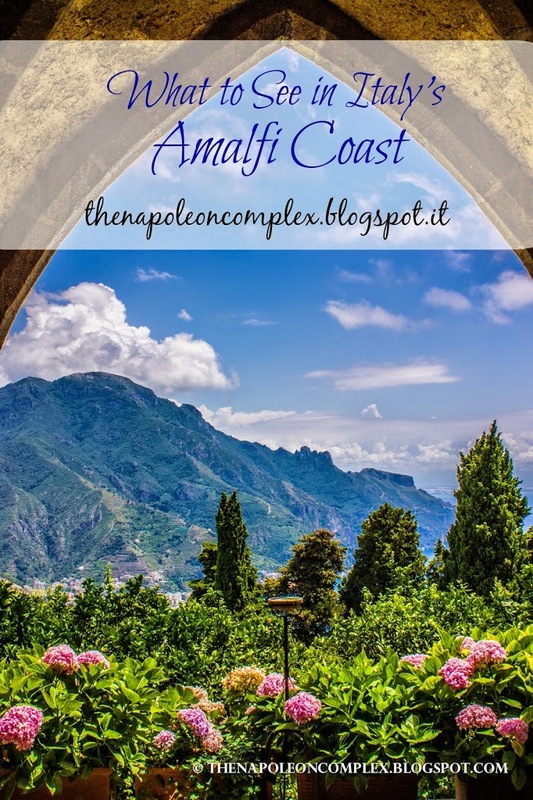 We stayed at an agriturismo near the actual Amalfi Coast, which boasts a very central location to many of Campania’s star attractions like Pompeii, Naples, and all of the towns of the Amalfi Coast. 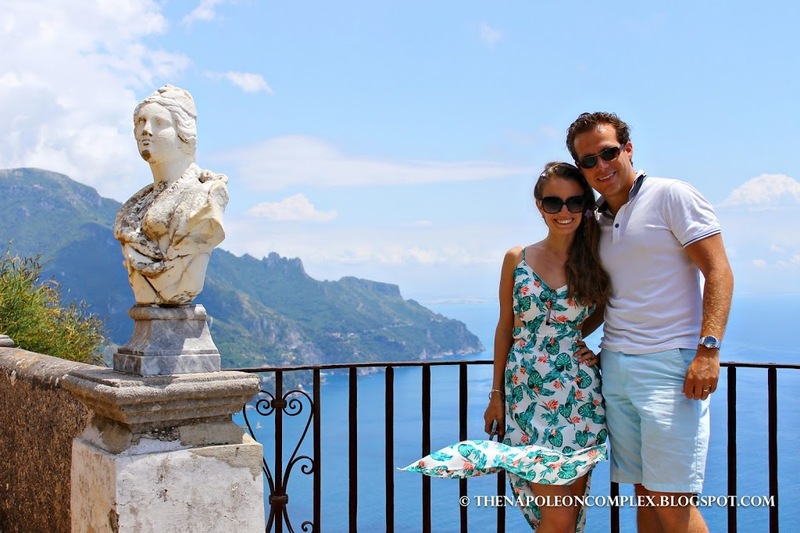 On our first day there, we went to go see the Amalfi Coast’s most famous town: Positano. 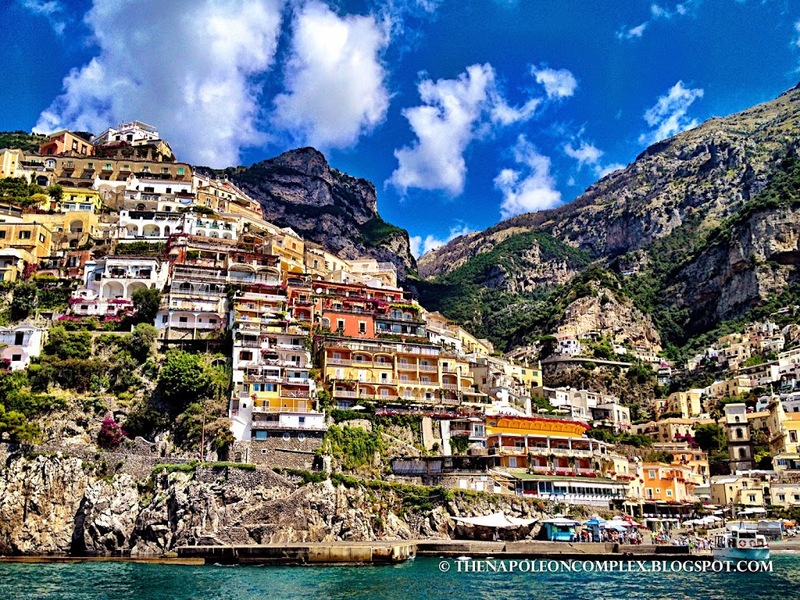 Here’s what you need to know about Positano: it was a medieval port that suffered through a declining period, then became an extremely popular tourist attraction from the 1950s onward, when John Steinbeck wrote an article about it in Harper’s Bazaar. 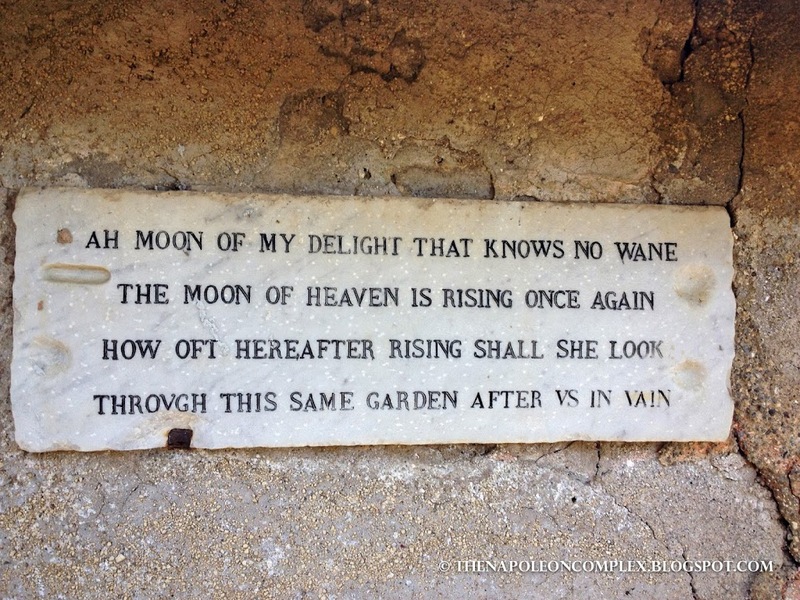 It’s been in several films, like Under the Tuscan Sun, and most importantly: it’s incredibly beautiful. Jaime & I on the Amalfi port waiting for the boat to take us to Positano. “I’m on a boat” selfie! 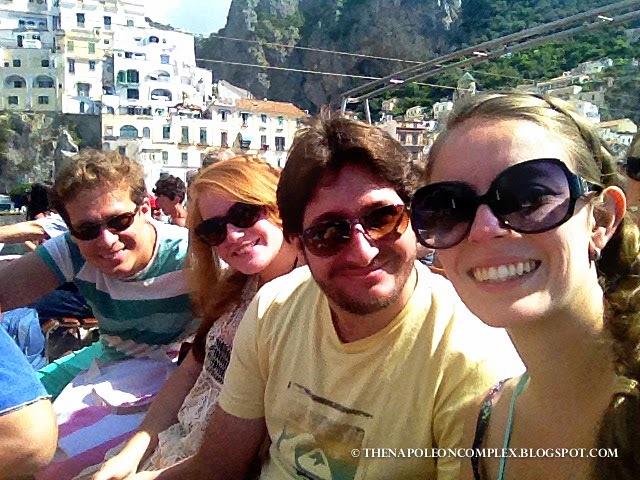 We arrived in Positano by boat, which we took from the actual village of Amalfi. According to our agriturismo host, it was much cheaper to park in Amalfi than in Positano. This might have been true if we weren’t four people, as we had to pay for four kinda pricey boat tickets. 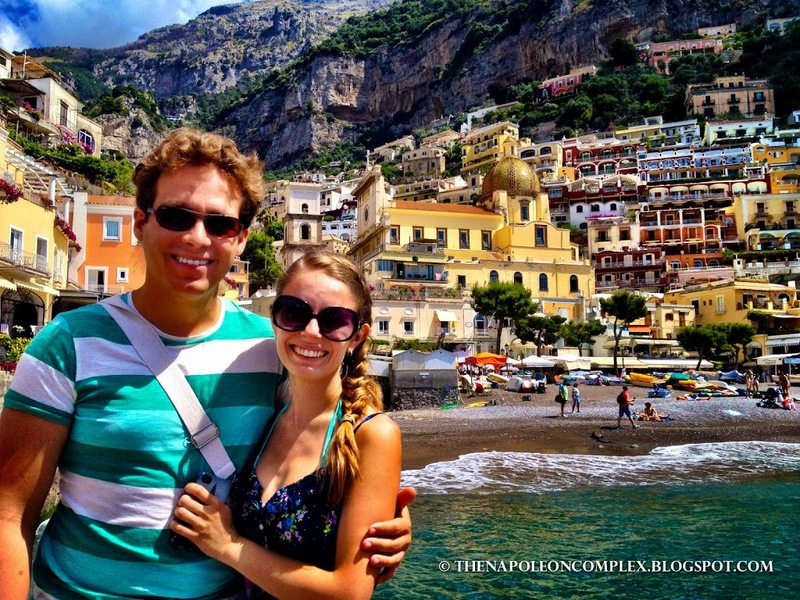 That’s just the price we had to pay to see one of Italy’s most expensive coastlines. The best part of coming in by boat is that the view is unparalleled. One of the things I wanted to do in Positano was buy pre-made sandals at La Botteguccia (here’s a video by Browsing Italy showing you how it’s done) as Positano is known for sandal-making. There are lots of different places to buy them from, but they usually have roughly the same prices and the same models. It’s not exactly cheap (mine were about €45), but if you’re like me and buying sandals is always a hassle because of too-skinny feet, it is definitely worth it. After my shopping was done, we decided to hit the beach. 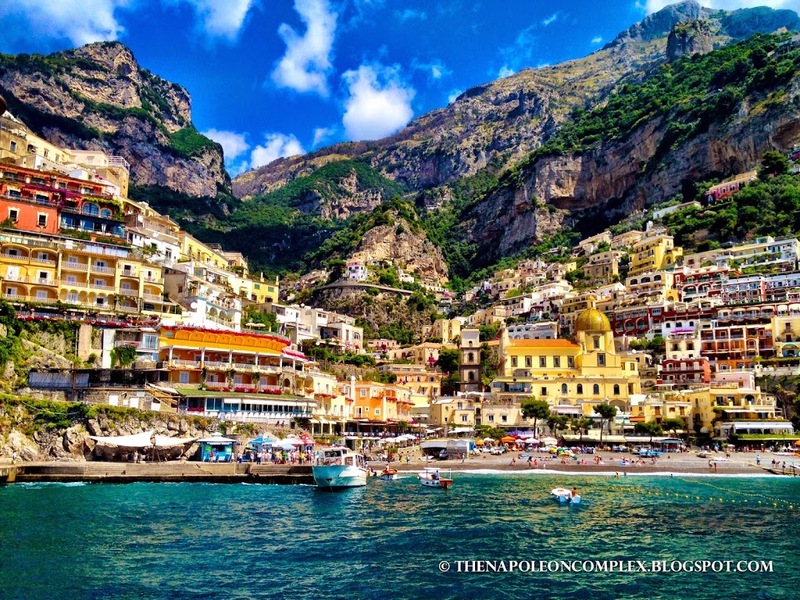 There are two beaches in Positano: Spiaggia Grande which is the one you see when you’re coming in by boat, and the smaller Spiaggia Fornillo. We chose the latter assuming it would be less crowded. It was a little bit of a trek to get there and unfortunately the weather was not cooperating with us (it was super windy, cloudy, and it eventually rained on us while we waited for the return boat). 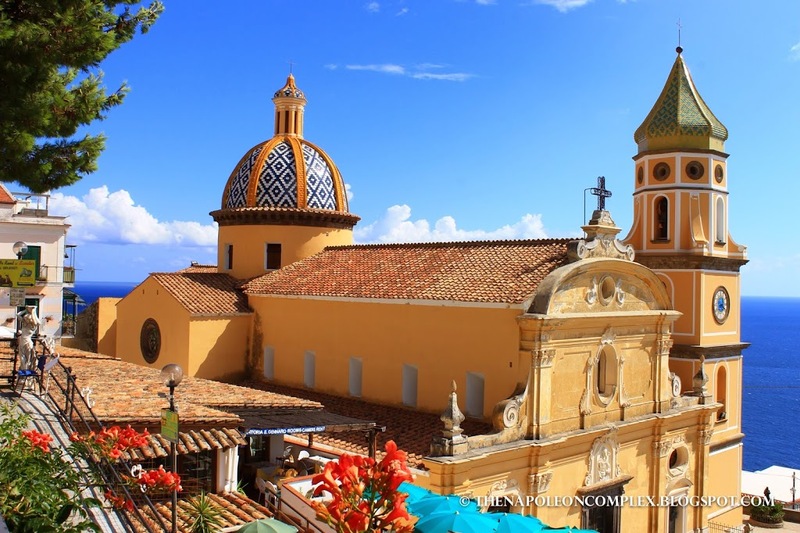 The Amalfi Coast is made up of quite a few villages staring with Positano in the west and ending with Vietri sul Mare in the east. 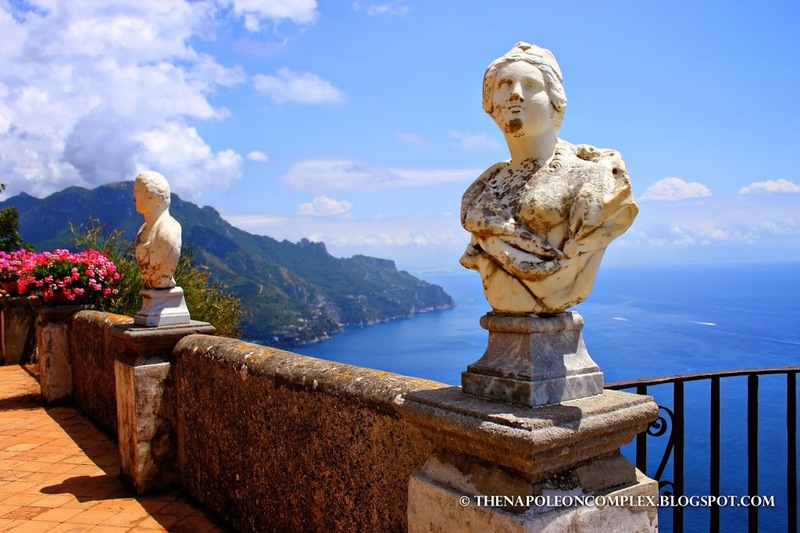 With only two days to explore, we obviously would not be able to see it all, so the next day we decided on visiting Ravello. 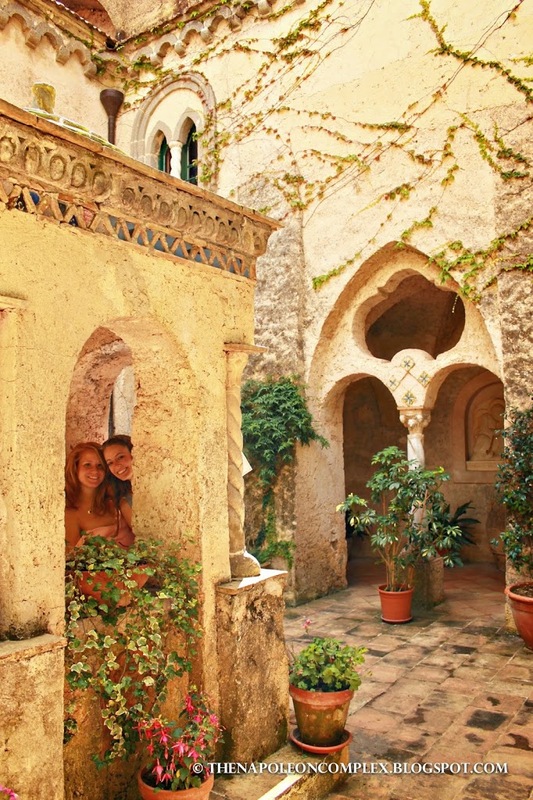 Jaime decided on Ravello that day and I have to admit I was quite surprised. 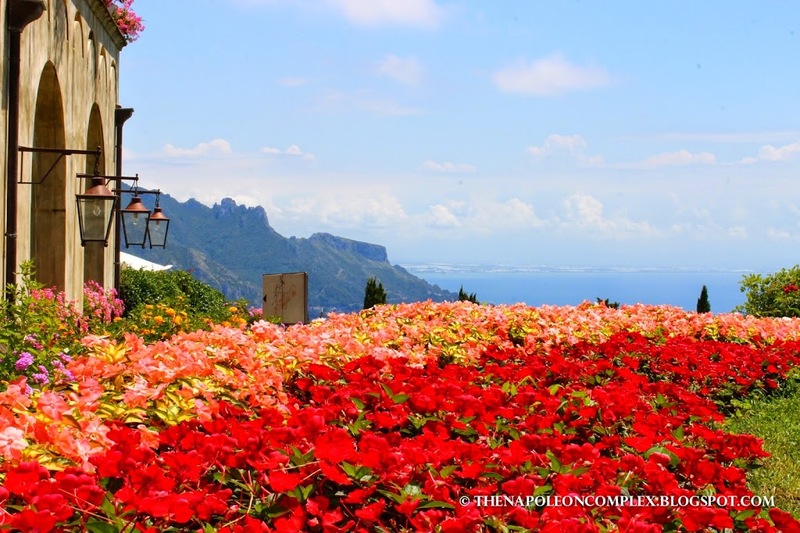 Ravello is known for two villas: Villa Rufolo and Villa Cimbrone. I didn’t expect the gardens to be quite as beautiful as they were and I certainly didn’t expect that we’d be allowed to take Arya with us. In the end, I’m glad we decided to go there as the views were magnificent and we had a great time. 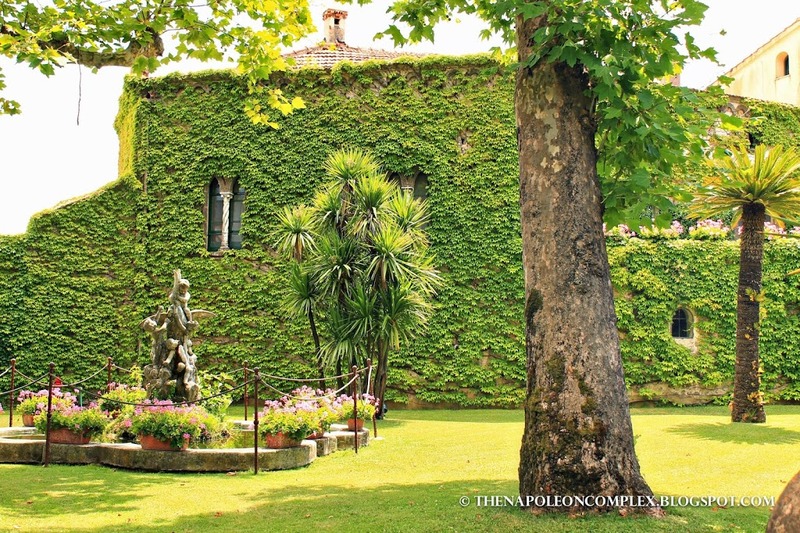 The Terrace of the Infinite in Villa Cimbrone. A silly pose that actually came out awesome with my dress blowing in the wind! 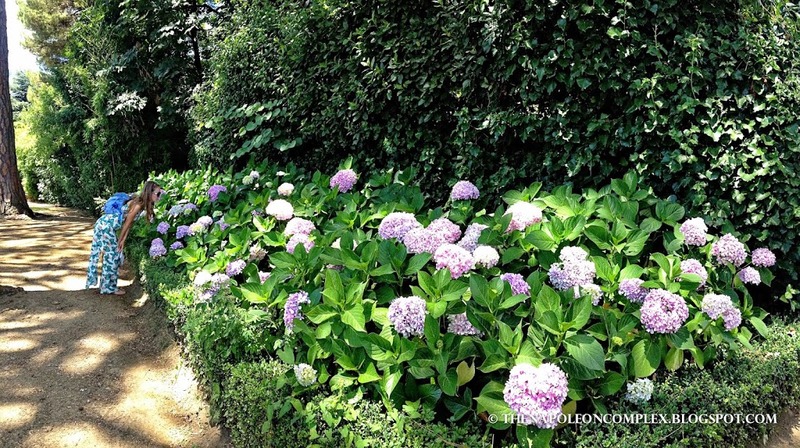 Hydrangeas: one of my favorites in Villa Cimbrone! 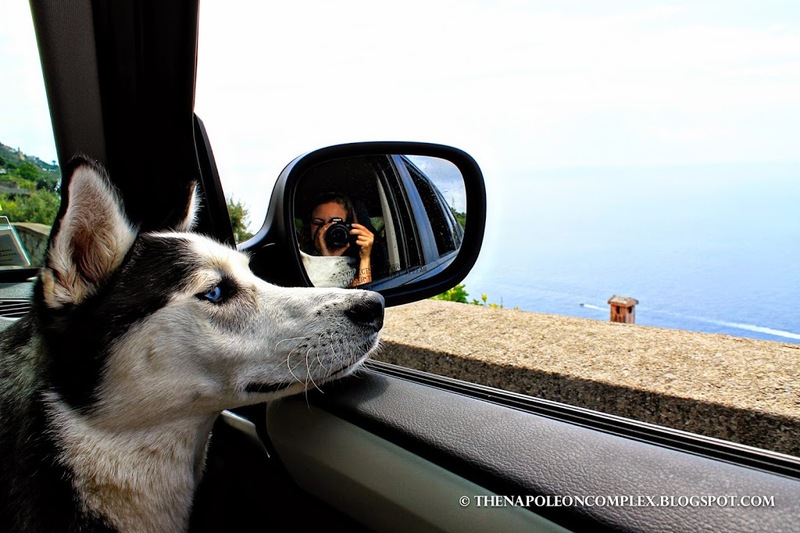 We took the long way back to Rome (it might also have been the only way), driving through the famous Amalfi Coast highway that hugs the coastline and gives you amazing views of all the towns. It’s one of National Geographic’s 500 Drives of a Lifetime! It’s also known for being terrifying and dangerous as it’s a two way highway that is super narrow and always filled with tour buses. Arya loves it when she’s in the passenger seat on a road trip! 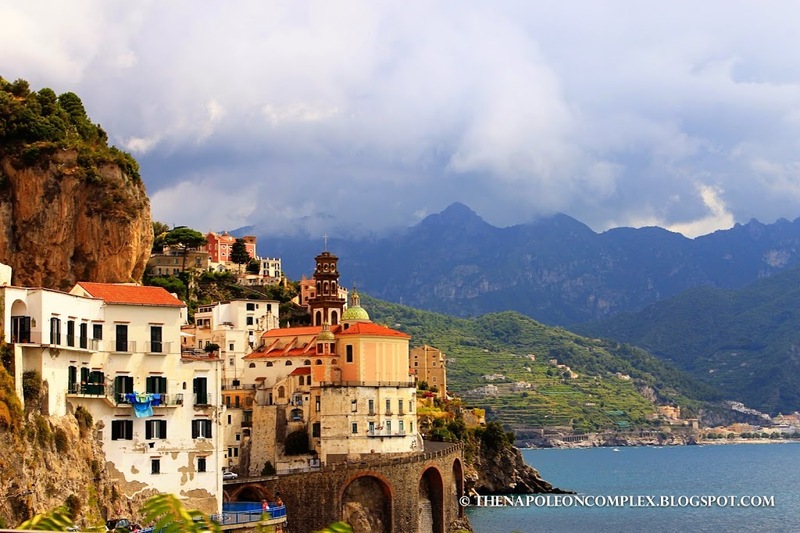 View of the town of Amalfi. No photoshop, the water was just that blue! No idea what this church’s name was, but it was very pretty. 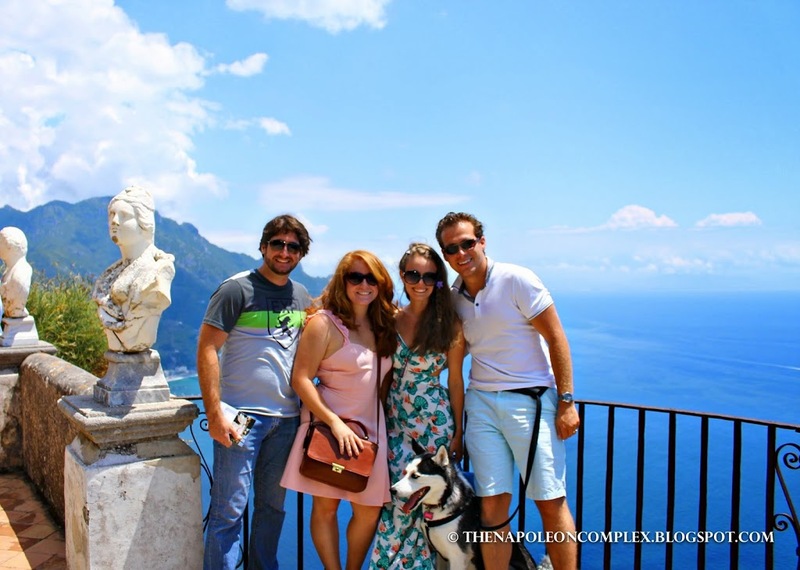 That’s all for our weekend in the Amalfi Coast and my last post on our awesome Summer road trip with Carolina and Joaquin! 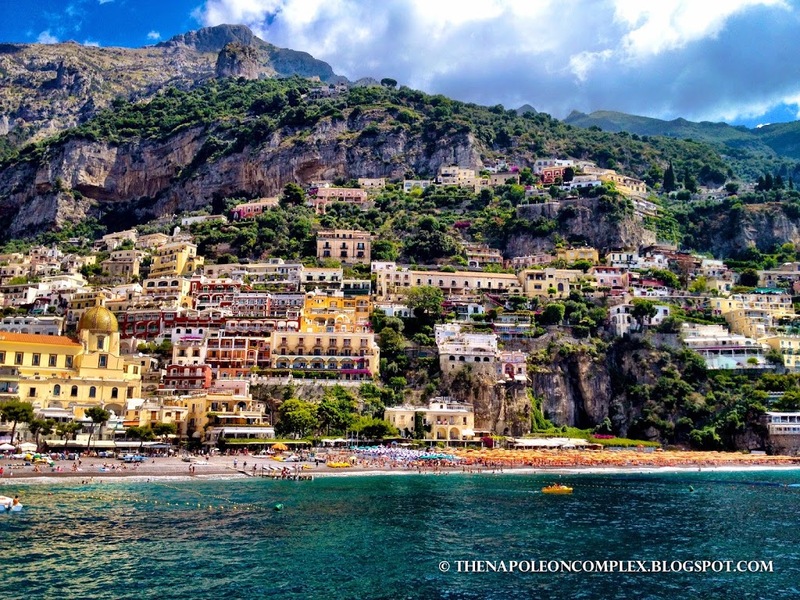 I have to go back to Italy just so I can visit the Amalfi Coast, and eat pizza of course. Your pictures are beautiful, it looks amazing coming into the port. Thank you! 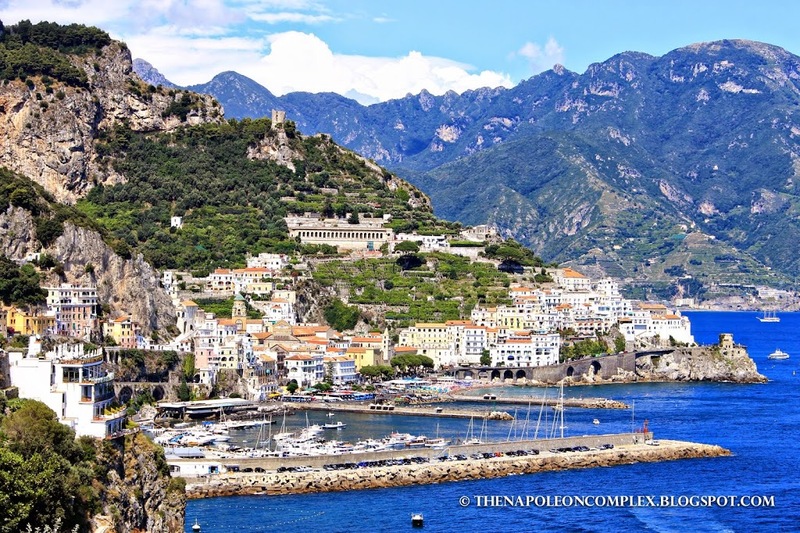 Yes, the Amalfi Coast is definitely worth a visit! Thanks for reading! Your photos are insanely beautiful! I have way too much wanderlust to handle right now!! 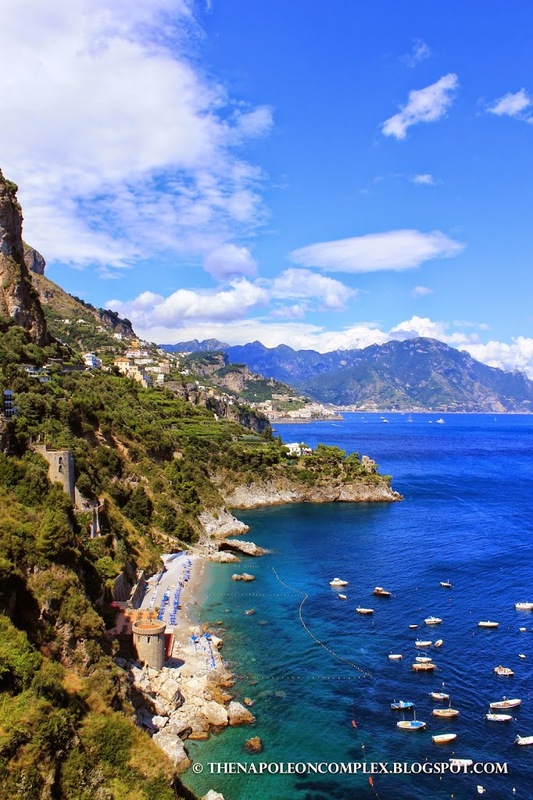 The Amalfi Coast looks like a dream come true. I seriously can’t stop obsessing over the gorgeousness. I must go STAT! It really is beautiful! My hubby takes great pictures but it’s not hard when the landscape is this photogenic! Thanks for looking! Stunning photos! Especially the ones with the statues and your pup! So cute! I loved visiting this part of Italy. My favorite spot was Pompeii. It was so eerily cool. What did you think of it? Hi, Actually we haven’t been to Pompeii yet but we are hoping to finally check it out this weekend so I’ll let you know then! Thanks for looking!